Our single online form lets you complete all your requirements for setting up the trust in one go. You can register a corporate trustee company, set up discretionary trust deed, order stamping of deed (for NSW & VIC) and printing services. We provide quality legal documents drafted by our solicitors; Batallion Legal. All documents are instantly emailed to your registered email and also get securely stored in your online account for future downloads. The application to ABR will get lodged for FREE at the same time you submit the form and, if approved, you will instantly receive ABN and confirmation for other registration in your email account. Our application is very easy to understand and complete with lots of hints and help text for each section of the application. You are required to enter information once and our intelligent form pre-fills and create an application, avoiding duplication of data entry. We are registered ASIC Agents which allows our clients to register Corporate Trustee/Company with ASIC at anytime from any device. All legal documents including ACN is sent to the registered email account instantly. We are a registered Duties Online organisation to process the duty in NSW and VIC for discretionary trust deeds set up on our website. We charge a nominal fee of $70 Incl. GST plus duty for the stamping service. At $137.5 plus ASIC fees – if setting up corporate trustee, we offer one of the most competitive pricing for discretionary trust deed as well as setting up corporate trustee. 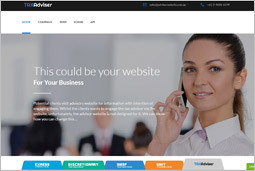 If you are a professional service provider such as accountant, tax agent, financial planner etc, we offer seamless integration of our online form onto your website. We offer high quality printing and express document delivery of all documents in a leather feel compendium to your door. It is an optional service and our pricing starts from $65 Incl. GST. A Certificate of registration of ABN issued by the Australian Business Registrar and the Company's TFN sent by the ATO to the Company's nominated address and your ABN will appear on "ABN Lookup" page. We lodge your ABN, TFN & GST application with your company information and some additional information and notify you when your ABN is registered and is ready to use. Prerequisites are that it should be an Australian resident company for tax purposes and is incorporated for profit and it does not operate an agricultural business or owned or controlled by a state or local government.use. Does your company need an ABN? When you deal with Australian Tax Office you will need an ABN. If you supply goods and services and your annual turnover is over $75,000, you have to register for GST in order to remit or claim the GST component. 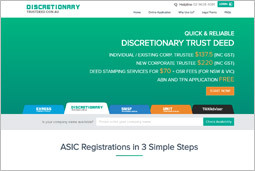 Companies registered by ASIC are eligible for an ABN if they carry on an enterprise. If your company is going to only act as a trustee of a trust, usually it will not need an ABN; however, we recommend that you seek an independent advice. If your company's turnover is over $75,000 then you must register for GST. If your turnover is less than $75,000, then GST registration is optional. We recommend that you seek your independent legal advice or talk to ATO. In most cases you will get an ABN instantly; however, in some cases where more information is needed by ABR then you may only receive an ABN reference number and you will be contacted by them. Our seamless integration with ASIC servers makes your company formation a breeze. 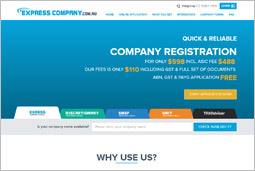 It starts with filling up our easy to use form online which is a single form caters to both your company registration as well as ABN/GST/PAYG Withholding registrations (optional). Our servers are directly connected to ASIC server which allows the information you submit go directly into ASIC servers and gets validated and ACN is issued instantly. You will receive a confirmation email with a complete set of documents you need to run your newly established company. Legal documents can be printed, professionally bound and express couriered to you in a 'Deluxe Soft Leather Feel' folder with all documents marked with 'Sign Here' stickers. All documents come with ready to sign (“Sign Here”) stickers.